Hey Mr Alfie Boe it is with great pleasure that we can finally "heed your prayer", for today, this day 29th April 2012, we will bring him home! Now I know what some of you might think about our Radder's homecoming party. But what can I say? Our four legged boy is as important a part of our family as any two legged member could be. Of course we know he wont understand the banners, the balloons etc, he's a dog! But that's irrelevant because we do, we understand it, we get it! He will appreciate however, being reunited with us as we are with him. So today Family T-J will celebrate with banners, balloons and bubbly and some delicious for doggie's only cake. Has my attempt at justifying being utterly "bonkers" worked? We were early for the 9.30am pick-up so we went for coffee with cinnamon & raisin toast and this was playing, it couldn't have been more appropriate and the tears came! Great band take a listen. Goodbye Australian Quarantine Station. The pictures tell a thousand words. A bouncy final release from Pen 34! Coming straight at ya, ready or not! Ok enough posing just let me get at the Cake! Radders is quick to customise the water feature! We are home, reunited and joyful, the 3 musketeers once more, now let the busy business of our new life in Oz truly begin! .....in an English Country Garden! Yes you know the tune! Yes you do, take a listen here. Sorry. Now it will be whirling in your head all day. Rolf Harris too, even more sorry. Now where is this going? We have noticed that people have been taking pictures of our house. Sometimes, even in groups. How odd we thought, its a lovely house we can't disagree. It's not a showstopping, must-take-a-piccy kind of house though not compared to some on our street. No its all about this plaque. 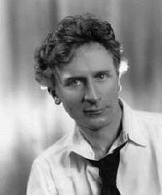 Percy Grainger (1882-1961), the composer of Country Gardens, was born in our house. Quite a handsome chap in a way, a tad Hugh Grant "foppish", I do like a man with a prominent nose. He lived most of his adult life however in New York and is much more famous in the States than he is here. The groups of people taking pictures are largely Americans on the "Percy Grainger Tour". "Pull down your pants and suffocate the plants....in an English Country Garden!" Sorry Percy. Yes, very childish, very childish indeed. Hi everyone "how ya going?" Whenever you go into a shop or restaurant you will be asked this, never "how ya doing?" I haven't got used to that, how do I respond? "I am going fine thank you" - it just doesn't feel right. I love how we have so much in common and yet so many idiosyncrasies too. 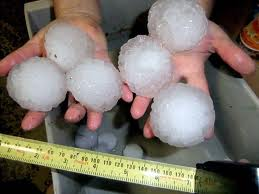 One thing for sure is that the weather forecast is NEVER wrong, if it says 40 degrees and baking you better believe it, if it says hail stones as big as golf balls, don't even think about hedging your bets. I love the fact that the forecast is always right, makes planning so much easier. It make me chuckle when sausages are sometimes referred to as "Mystery Bags", well lets face it, do we really know what they put in them? We just know that grilled with a full English or wedged in a finger roll with fried onions and ketchup they are "bottler" (excellent). The Aussies do have a drink problem but it is definitely not alcohol. It is coffee, I think this must be akin to the US because you can get a coffee, anywhere, everywhere 24/7. Even the most bizarre places will sell coffee, there is absolutely no excuse here to miss out on a caffeine fix should you ever need one. Like the States they come in every variety, flavour and size imaginable. You really need a University degree to work the menu and I have worked out a "Flat White" works for me! 2. Add "O" or "IE" and you're practically born and bred! I saw a sign in a dry cleaners, "Special Offer this week on Doonas", what the hell is that? Doona is a Duvet. Doovalacky is the word used where we use thingamebob or thingamejig. Good that one eh? Bogan is a scruffy, chav type character. This one really makes me go euuughhh and chuckle at the same time; a Bush Oyster is a snotty nose, think about it! A Bitzer is a mongrel dog, a Heinz 57, made up of a "bitz a this and bitz a that". If something is Cactus, then it is truly dead. Like the squished Possum I saw on the road the other day. We say "ta ra" they say "hoo roo"
So it's "hoo roo" from me now cos I am off to say "How you going?" to my "Bitzer"and take him a few "Mystery Bags" and some huge Momma cuddles. It's only 5 days to go before we can climb under the "Doona" togeva but don't tell Poppa! It's what the Aussies call Brisbane. We board an early Saturday morning flight to see friends. Friends we thought we wouldnt see for a very long time after they left our village 2.5 years ago. Little did we know then that we would be the next ones to follow! The approach to landing is something else, the high rises of the CBD (Central Business District, we call City Centre) looms imperiously over the surrounding suburbs. Much smaller than Melbourne, almost cute in comparison, but still impressive. The morning mist is yet to burn off. 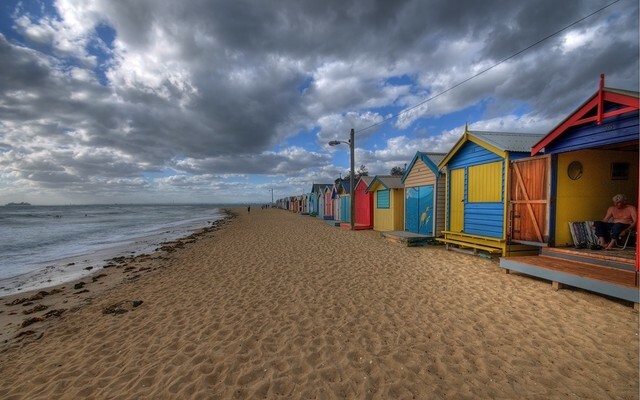 We fly in over the coast, flanked by beautiful beach side properties, with boardwalks and private moorings interspersed with salt marshes teeming with bird life and saltwater crocodiles too for sure! "We cant believe you are here!" Simon, Shari, Hubster and I enjoyed a fantastic day at Eagle Farm Races. I had a little chuckle because the racecourse is in an area of Brisbane called Ascot! It was a scorcher and the loan of the bush hat was a welcome one and as it turned out, a permanent one too! Shari and I barely noticed a horse as we were far too busy gassing! It came down to the last race before we realised we should perhaps place a bet. "$10 on the nose Ginga Dude please"
Good old Ginga, came in a good'un. I was 40 bucks up. "well that will pay for a celebratory bottle!" ...except Simon really had no clue at all when it came to the screw top! Which instigated no end of banter from Hubster, the screw top originated in Oz and after 2.5 years as a fully integrated ex-pat, Simon failed dismally. The ministry of silly grins sponsored by Mr Sauvignon-Blanc! 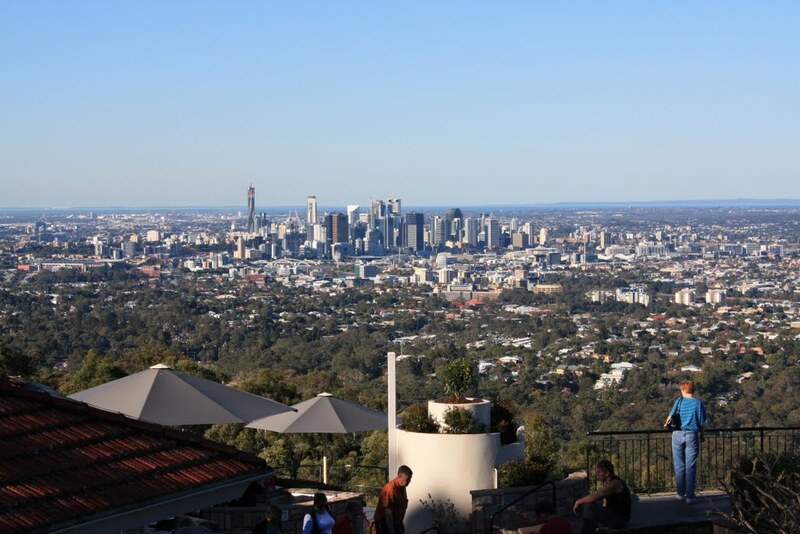 Simon and Shari live in the Ferny Hills district of Brisbane. The flora and fauna is akin to tropical rainforest and the early morning chorus was certainly LOUD. No need for alarm clocks here. Cookabooras that sound like monkeys, parakeets, cockatoos and bush turkeys are all in fine voice. A lie in is practically impossible. The view from the porch, a dense tangle of trees and foliage bursting with life! We decided to go up to Mount Coot-tha for breakfast. 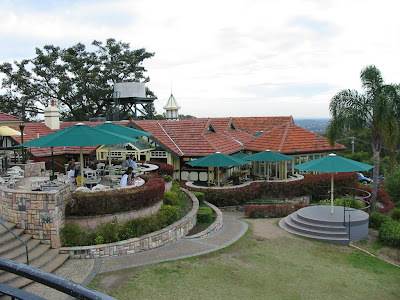 A wonderful mountain top look out with fabulous panoramic views of the city and a damned fine restaurant to boot. Just the tonic after a mirthful evening and a few sherberts. I enjoyed a fresh pineapple and mint frappe with a delicious BLT + Avocado on toasted sourdough, the others opted for the big Coot-tha Brekkie which was impressive, however mine came with chips too! Needless to say, the boys and their bottomless pits helped a treat. All too soon, it was time to board our 2 hour flight back to Melbourne. What a whirlwind of a weekend, a concentrated, fully loaded injection of friends and fun and we cant wait to play host in ...............Melboring! If only he could sea what I sea! How can I explain this is waiting for him? Middle Brighton beach, just minutes from home. It's waiting Radders, we're waiting, the whole world is waiting for that moment when you claim this beach as your own. Its a sultry, muggy day, the sky is grey blue and the view is hazy. The cargo ships look like ghosts on the horizon. I walked some more. All along the foreshore are rows of benches, each bench has a name or is that a purpose, actually both. Today I sat on this one. But a week on Sunday, we can all sit on these ones! ................ and we three, will be, as rich as rich can be - togeva!